Before we delve into the preview for the 100th edition of the PGA Championship, I wanted to express my condolences to the family of Jarrod Lyle after his passing at the age of 36. Jarrod, a two-time winner on the Web.com Tour, and a long-time member of the PGA Tour lost his battle to leukemia today after beating it twice before. From all that I hear, Jarrod seemed to be a fun-loving Aussie and adored by all on the Tour, it is a shame to lose someone at such a young age. Jarrod will be deeply missed. Bryson DeChambeau today won the long-drive contest at Bellerive Country Club and donated the entire $50,000 winnings to the Lyle family. Many other PGA Tour players have announced their support and have made significant donations to the Lyle family. It is tough to talk about a golf tournament after losing such an inspiring member in the sport, but Jarrod will be on the minds of everyone this week at Bellerive. As stated above, this week is the 100th edition of the PGA Championship and the last time the event will be played as the last major of the year. Bellerive Country Club in St. Louis will play the host to this centennial PGA Championship where the course is expected to play damp and moist. A course that plays like that usually spells Rory McIlroy (i.e. Congressional in 2011 and Royal Liverpool and Valhalla in 2014). However, I will get into my rankings and predicted winner later on. First, I wanted to address the outlandish comments made from Brandel Chamblee this week on “Live from the PGA Championship” on Golf Channel. To quote Chamblee, Tiger Woods “got the least out of his talent of any player in history.” This might be the most ridiculous comment I have ever heard when pertaining to sports. Tiger Woods, even without winning a golf tournament in over 5 years, has one nearly 25% of every PGA Tour start he has made! That is an absurd statistic given his recent drought due to injury and personal problems. Tiger Woods has held the 54-hole lead in an astounding 45 PGA Tour events, he has one 43 of them (about 96%). Phil Mickelson has 43 total wins for his entire career! Let us not forget that Tiger Woods has 79. Rory McIlroy currently wins at a 9 percent clip and if Woods would have played as many events as Davis Love III over his career, he would be on pace for nearly 200 wins on Tour! Case closed. Now let’s dig into this week a bit more. 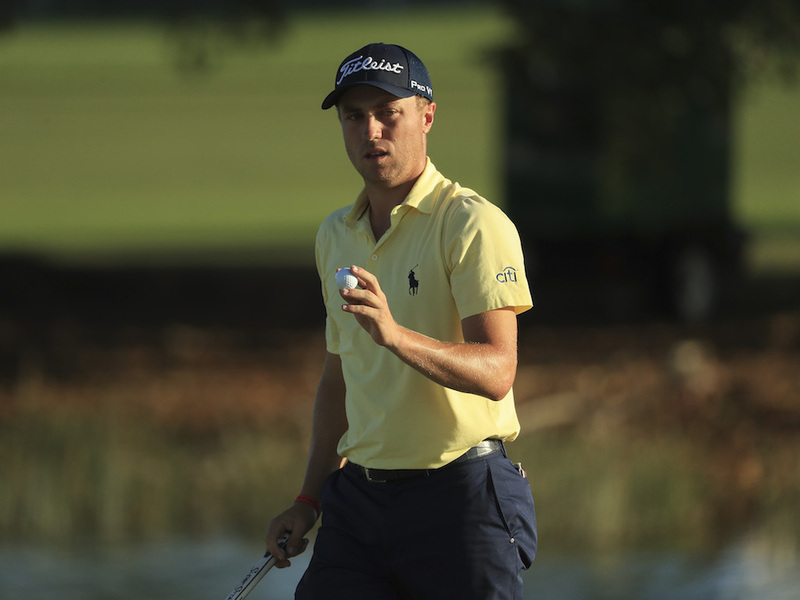 Justin Thomas, the defending PGA Champion, is coming off of a victory at the final WGC-Bridgestone Invitational at Firestone last week and looks prime to contend again in an attempt to repeat, as Brooks Koepka did earlier this year at the U.S. Open. Bellerive is set up for players that tend to work the ball from right to left on paper but that may be a bit neutralized by the softer conditions. Dustin Johnson and Justin Thomas are among the notable favorites that prefer the left to right shot shape, so that on paper may not look favorable for them, but I do believe they should be able to overcome this to contend. A man who hits the high draw better than anyone in the world is Rory McIlroy, so that is now two major advantages for Rory this week at Bellerive. 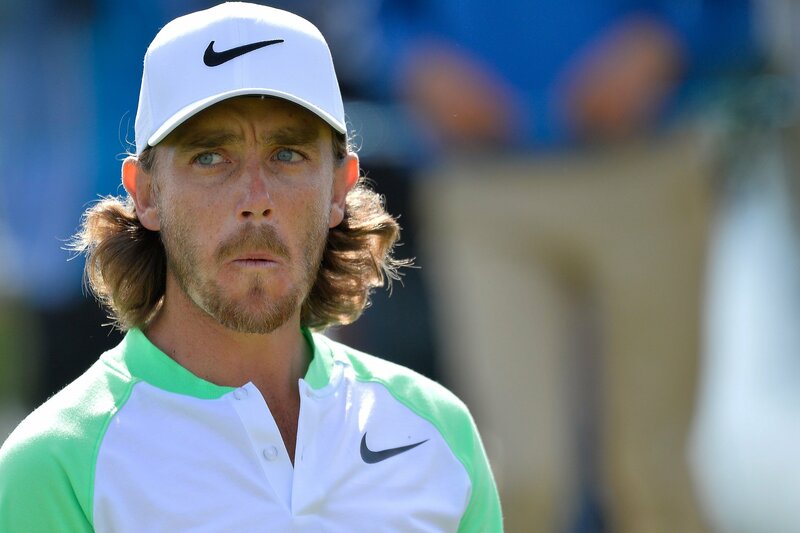 I would be stunned if Rory is not in the top-5 at the end of the week. 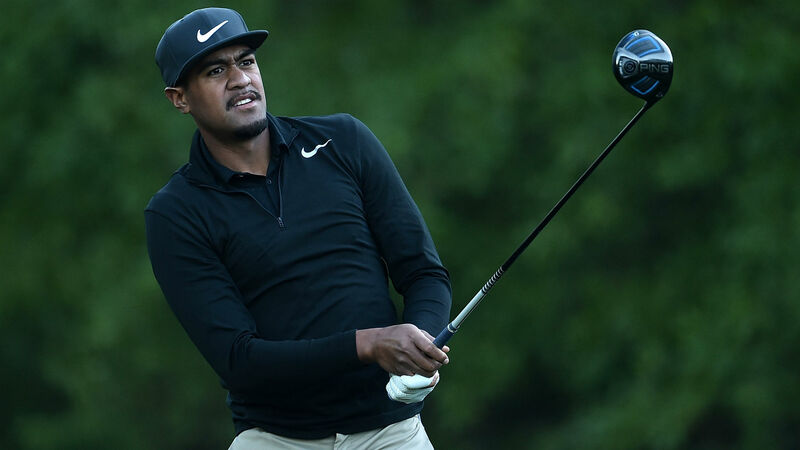 Without further ado, let’s delve into my top-10 this week for the PGA Championship, as well as, my group of dark horses, dart-throw selections and my prediction for Tiger Woods this week. Could it be this week at Bellerive? Ollie Schniederjans – Decent around the greens, finished 5th at the Barracuda Championship last week. 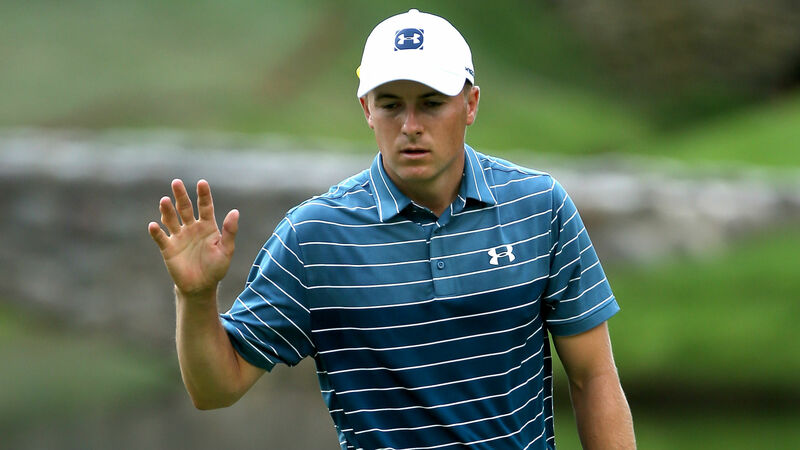 A relatively quiet season after top-10s early at the Sony Open and Waste Management Phoenix Open. He may be worth a flier because this young Georgia Tech kid has game and a big tournament persona. 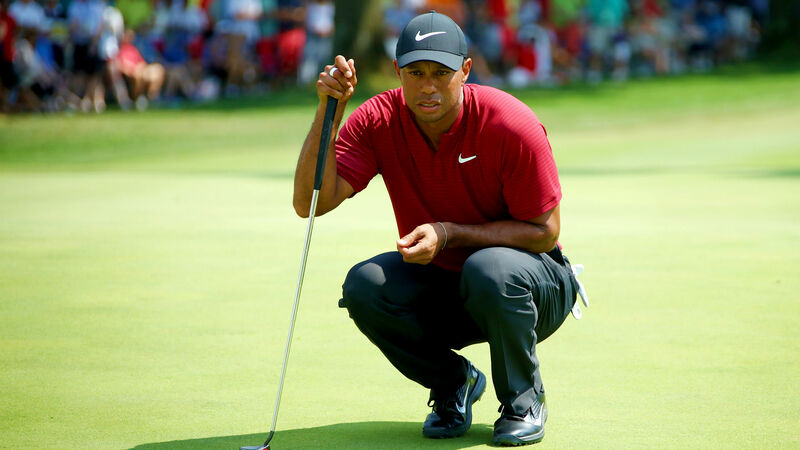 Tiger again played really well at Firestone in spurts but could not quite finish strong over the weekend. I think the length of the season after not playing that many events over the last few years is beginning to catch up with Tiger. 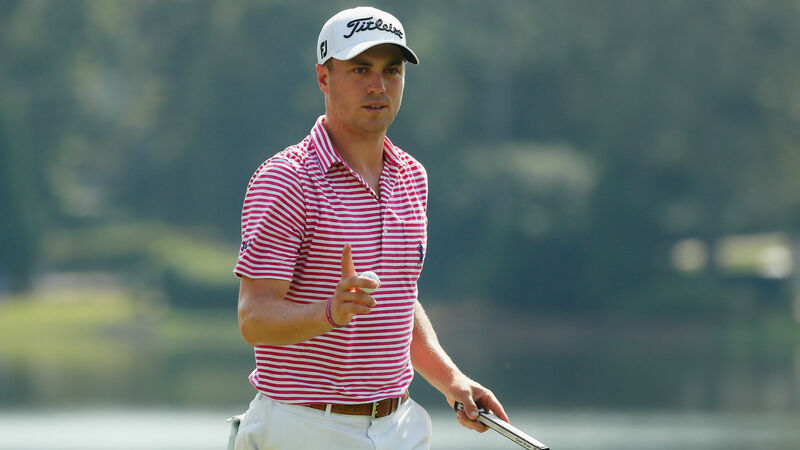 He will play well in spots this week at Bellerive but I do not expect him to contend. I would project a made cut for Woods and a finish around the top-25, which would be a solid season for Tiger, but will only spur on the doubts of those that say he may never win a major again. Enjoy the action this week at Bellerive and I look forward to recapping it all next week!